Easily view and keep track of all links you've created in the past. Create folders to better organize links by project or campaign. Access to edit, view stats, and copy your links are all easily accessible. Update the text of your links at any time. Use a plain text link or select an image to embed in your website. Always have your link details up to date. 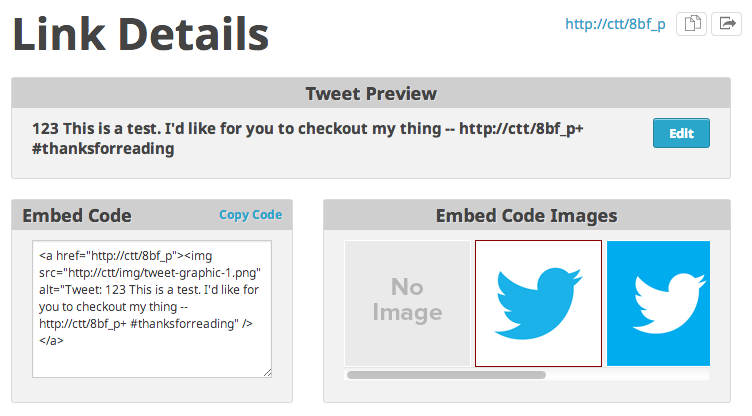 Select from a variety of designs to embed your Click To Tweet call to action on your website or blog. There are several themes to choose from and more are being added. 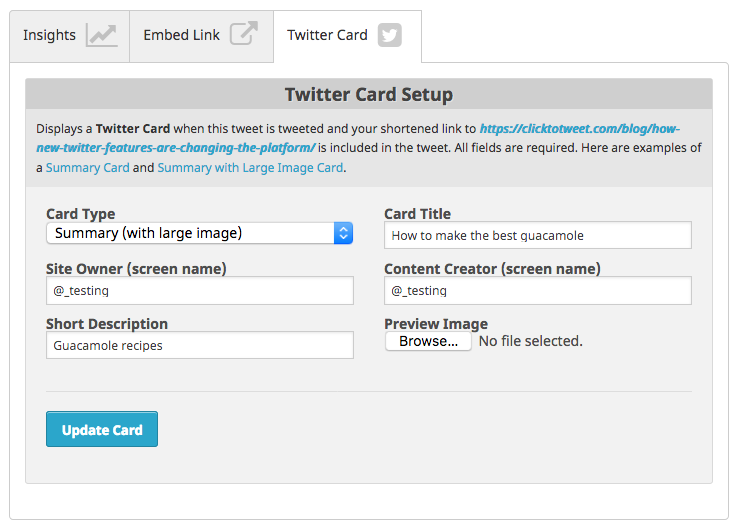 Want to display a Twitter Card without having to modify code on your blog or website? Click To Tweet allows you to enter Twitter Card info and display 1 of 2 different Twitter Cards whenever you use at least 1 link in your Click To Tweet. 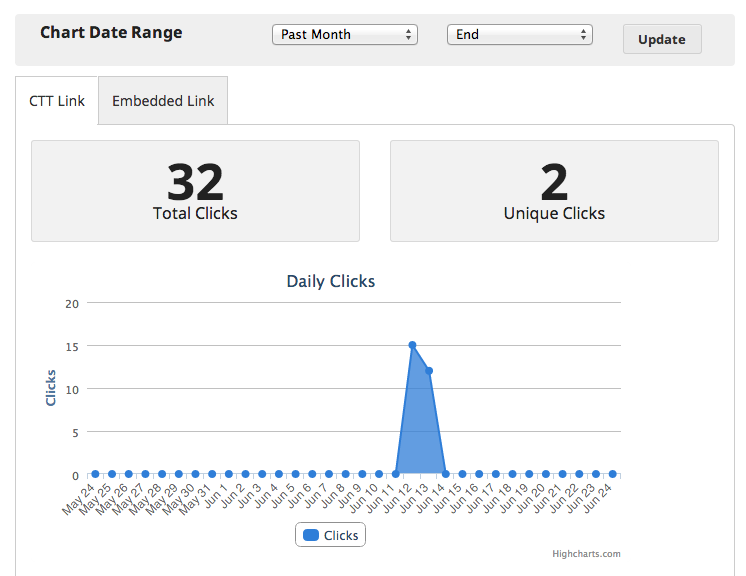 View reports of click activity on all your links. 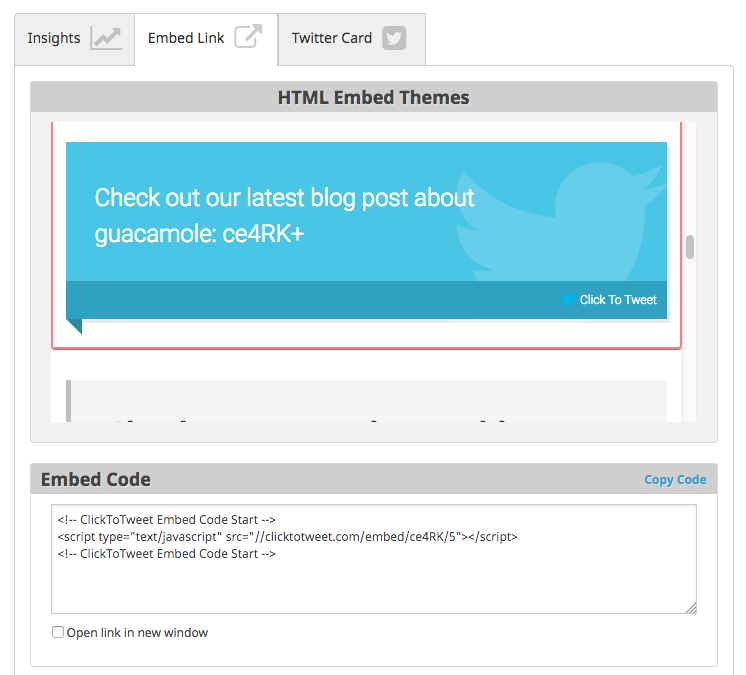 Analytics are tracked for all links you embed inside of your message/tweets, too! 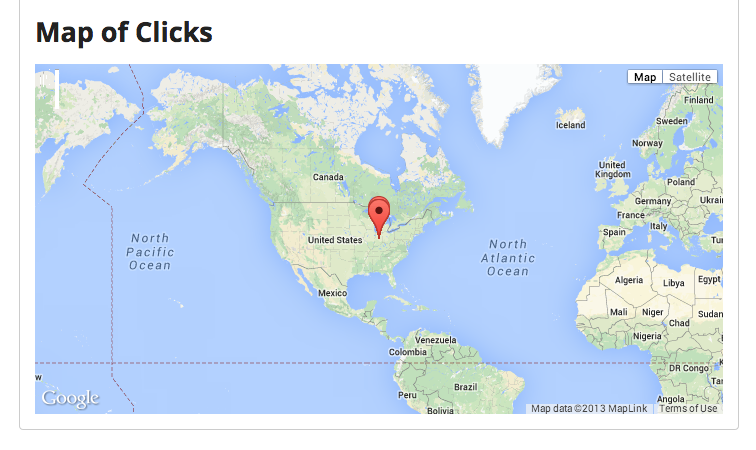 Every time someone clicks one of your links, we record where they clicked from and present this data to you on a map. See from where people are clicking on your links across the world. 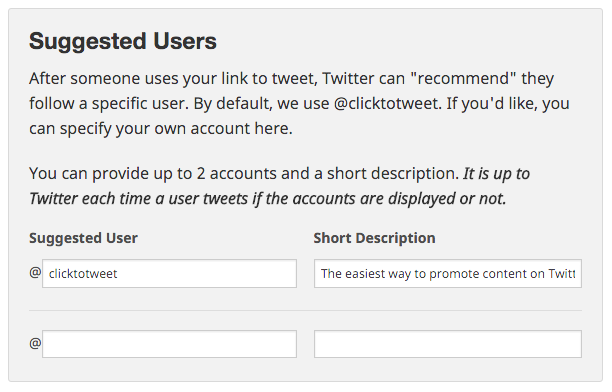 Increase your followers by suggesting your (or anyone's) Twitter account to be followed every time someone tweets from your ClickToTweet link.